Smita Prasad MPH, first year UMHS-SK medical student, has published her research findings along with co-author Raymond Hill DrPH MPA. "The objective of this study was to determine the cost-efficiency of vaccinating against Human Papillomavirus (HPV) in Medicaid enrolled females of the Appalachian region of Kentucky (n=49,411 females) aged 12 to 25 years, versus paying for the treament of cervical cancer cases (n=643 cases) within this population later in life." The study demonstrated that such a prevention plan is cost-efficient and that over time, as the vaccinated population ages, an actual cost saving will be recognized. Prasda SR, Hill R. A cost-benefit analsis on the HPV vaccine in Medicaid-enrolled females of the Appalachian region of Kentucky. Kentucky Med Assoc J.June 2008;106:271-276. Full text of the article is available in the library. Click for most information on Cervical Cancer , Statistics Facts Sheet & CDC 2007 National Immunization Survey Data. Editors are now collaborating on the Medpedia Project to collect the best information about health, medicine and the body and make it freely available worldwide. Only physicians and Ph.D.s in a biomedical field are allowed to make edits directly to the article pages. However, everyone is encouraged to contribute by using the "Suggest Changes" link at the top of each article page. Think of The Medpedia Project as the free technology platform for the medical community, a sort of 'Wikipedia' for the sharing and advancing of knowledge about health, medicine and the body. "Your life science magazine rack"
This site gathers the most recent life science's journal literature as it is published directly from RSS feeds. You can browse over 100 key journals by subject, see the most recently updated TOC's, search the content of TOC's [rather slow, unfortunately], see the most 'popular' of the latest articles, etc. This site really facilitates quick browsing of the latest issues of key journals. Then of course once you have identified articles you would like to read in full text, you can then watch for them in our EBSCO databases. 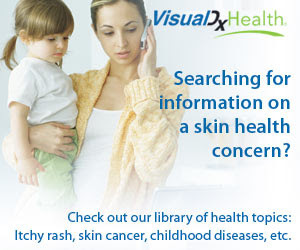 VisualDxHealth is a self-care patient information tool providing medical pictures of common diseases and conditions as they appear on different parts of the body. This is an interactive tool to guide you and is not intended to diagnose automatically. Each disease write-up includes an overview, risk factors and causes, pictures, self-care recommendation, and information on treatments or a treatment your doctor might prescribe. "Today’s busy lifestyles require that everyone put in extra hours when it comes to careers, family, and even free time. Learn how to better manage your time to get more done in less time. The following blogs will help you find ways to become more productive whether it’s at home or work–and no matter what profession you have. Entrepreneurs, professors, students, creatives, technology buffs, and even those just looking for inspiration for productive lives will all find blogs with plenty of information and suggestions to get things done more efficiently." "Expansion is going on at almost all the medical schools in the U.S., and this is expected to increase the physician population by some 5,000 new doctors by 2020. According to a new report, medical educators should look at this expansion as an opportunity “to explore bold, innovative ways to improve” medical education, including better alignment of medical training with societal needs and incorporate “contemporary realities,” such as the rapid pace of scientific discovery, calls for more public accountability, acknowledging the unsustainable cost of healthcare as well as “unconscionable” racial and ethnic disparities, and the increasing burden of chronic illness and disability." Click on title for a link to the Executive Summary .pdf from the October 2008 Conference convened by the Josiah Macy, Jr. Foundation.